The Metolius River is the crown jewel of the upper Deschutes Basin and a place of exemplary ecological value in the state of Oregon. 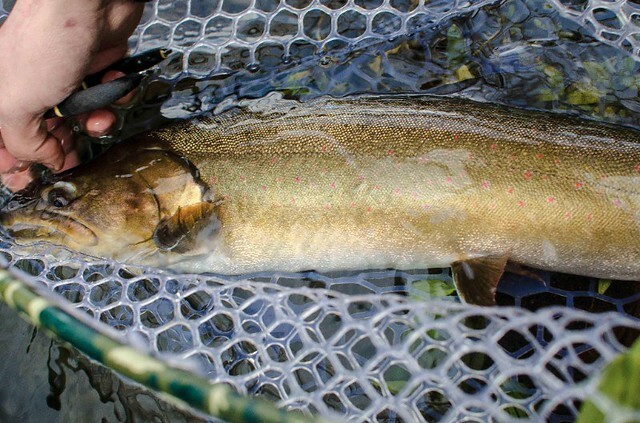 To safeguard the health of its native fish, please join us in requesting that the Oregon Department of Fish and Wildlife update its angling regulations for the Metolius River in 2018. Our Metolius River Steward, Adam Bronstein, has identified three specific changes that will benefit native fish: 1) single barbless hooks, 2) no additional weight, and 3) explicit mention of catch and release for all native fish species. Please click the button above or below to head to our action alert page where you can send a message to the Oregon Department of Fish and Wildlife today – your voice matters and can make all the difference. This entry was posted in Central Oregon Fishing Report, Oregon Conservation News, Oregon fly fishing links. Bookmark the permalink.